Bristol Rovers Football Club is a professional association football club based in the city of Bristol, England. They compete in League One, the third tier of English football. The team play their home matches at Memorial Stadium, in Horfield, a suburb of Bristol, and are affiliated to the Gloucestershire County FA. The club was founded in 1883 as Black Arabs F.C., and were also known as Eastville Rovers and Bristol Eastville Rovers before finally changing its name to Bristol Rovers in 1899. The club's official nickname is The Pirates, reflecting the maritime history of Bristol. The local nickname of the club is The Gas, from the gasworks next to their former home Eastville Stadium, which started as a derogatory term used by fans of their main rival Bristol City but was affectionately adopted by the team. According to a survey conducted in December 2003, Cardiff City and Swindon Town are considered their second and third biggest rivals. Rovers were admitted to the Football League in 1920 and have played there ever since, apart from spending the 2014–15 season in the Conference Premier. They previously came close to losing their league status in 1939, when they were re-elected after finishing bottom of Division Three (South), and in 2002 when the team finished one league position away from relegation to the Football Conference. 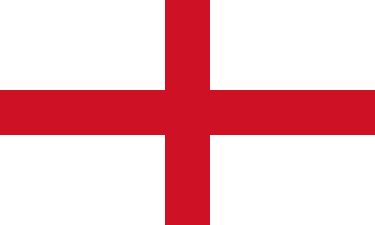 Their highest finishing positions were in 1956 and 1959, on both occasions ending the season in 6th place in Division Two, then the second tier of English football. Rovers were Football League Trophy finalists in 1990 and 2007. 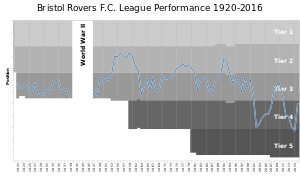 For more details on this topic, see History of Bristol Rovers F.C..
For a statistical breakdown by season, see Bristol Rovers F.C. seasons. The club was formed following a meeting at the Eastville Restaurant in Bristol in September 1883. It was initially called Black Arabs F.C., after the Arabs rugby team and the predominantly black kits in which they played. This name only lasted for the 1883–84 season, and in a bid to draw more fans from the local area the club was renamed Eastville Rovers in 1884. Football: Wotton-under-Edge v Black Arabs (Bristol). A match under association rules has been played at Wotton-under-Edge between these clubs, resulting in the defeat of the visiting team. The home team were in every point superior to their antagonists and after a one-sided game Wotton were declared victors by six goals to nil. Dursley Gazette, 3 December 1883, reproduced in Byrne & Jay (2003). A report of the Black Arabs' first match. The club played only friendly games until the 1887–88 season, when it took part in the Gloucestershire Cup for the first time. In 1892 the club became a founder member of the Bristol and District League, which three years later was renamed the Western League. In 1897 Eastville Rovers joined the Birmingham and District League, and for two seasons played in both this league and the Western League. At the beginning of the 1897–98 season, the club turned professional and changed its name to Bristol Eastville Rovers, and on 17 February 1899 the name was officially changed to Bristol Rovers. In 1899 Bristol Rovers joined the newly formed Southern League, where they remained until 1920, winning the league title along the way in 1905. For the 1920–21 season, the Southern League teams were moved into the new Division Three of the Football League, which became Division Three (South) the following season. They remained in this division for over 30 years, before winning the league, and promotion in the 1952–53 season. Chart of yearly table positions in the Football League. The team has won promotion on five other occasions: in 1973–74 from the Third Division to the Second Division, again in 1989–90 as Division Three champions, in 2006–07 to the Football League One, in 2014–15 to League Two from the Conference Premier, and then in 2015–16 to League One. The club has been relegated six times—in 1961–62, 1980–81, 1992–93, 2000–01, 2010–11 and most recently at the end of the 2013–14 season. The highest position in the football ladder achieved by Rovers at the end of season is sixth place in the second tier, which they did twice; once in 1955–56, and again in 1958–59. The closest they came to the top flight was in 1955–56, when they ended the season just four points below the promotion positions. The lowest league position achieved by the club is twenty-third out of twenty-four teams in the fourth tier, which has occurred twice. In the 2001–02 season, relegation from the Football League was narrowly avoided on two counts; firstly they ended just one league position above the relegation zone, and secondly the rules were changed the following season to increase the number of relegation places to two, meaning that if Rovers had finished in that position one year later they would have been relegated. This position was matched at the end of the 2013–14 season, which this time saw Rovers relegated to the Conference for the first time. They returned to the league at the end of their first Conference season, with a penalty shootout victory over Grimsby Town in the play-off final. The only major cup competition won by Bristol Rovers is the 1972 Watney Cup, when they beat Sheffield United in the final. The club also won the Division Three (South) Cup in 1934–35, as well as winning or sharing the Gloucestershire Cup on 32 occasions. The team has never played in European competition; the closest Rovers came was when they missed out on reaching the international stage of the Anglo-Italian Cup in the 1992–93 season on a coin toss held over the phone with West Ham United. In the FA Cup, Rovers have reached the quarter-final stage on three occasions. 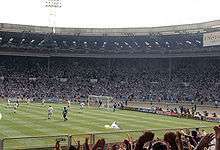 The first time was in 1950–51 when they faced Newcastle United at St James' Park in front of a crowd of 62,787, the record for the highest attendance at any Bristol Rovers match. The second time they reached the quarter final was in 1957–58, when they lost to Fulham, and the most recent appearance at this stage of the competition was during the 2007–08 season, when they faced West Bromwich Albion. They were the first Division Three team to win an FA Cup tie away to a Premier League side, when in 2002 they beat Derby County 3–1 at Pride Park Stadium. 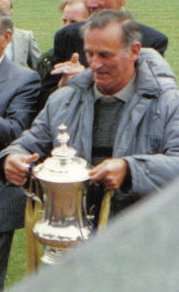 They have twice reached the final of the Football League Trophy, in 1989–90 and 2006–07, but finished runners-up on both occasions. On the second occasion they did not allow a single goal against them in the competition en route to the final, but conceded the lead less than a minute after the final kicked off. Bristol Rovers main rivals are city neighbours Bristol City, with whom they contest the Bristol derby. This rivalry was deemed 8th fiercest rivalry in English football in an in-depth report by the Football Pools in 2008. The most recent encounter between the clubs took place on 4 September 2013, which saw Rovers beaten by City in a Football League Trophy tie at Ashton Gate Stadium by a 2–1 scoreline. Other rivals are mainly other teams from the West Country, such as Swindon Town, Plymouth Argyle, Exeter City and Yeovil Town. Since relegation to the Conference, a rivalry has also emerged with Forest Green Rovers. 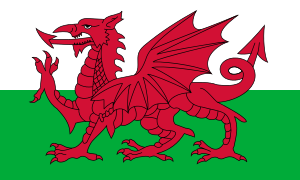 In the past, rivalries also emerged with Severnside rivals Cardiff City known as the Severnside derby. 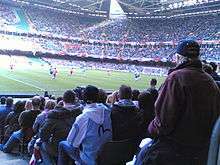 Rovers most recent meeting against Cardiff was a League Cup match on 26 August 2009, which Cardiff went on to win 3–1. This game took place at the new Cardiff City Stadium and the Rovers only goal from the game came from Steve Elliot. The last time Cardiff and Bristol Rovers were in the same league was in the 1999–2000 season. Bristol Rovers and Plymouth Argyle have played each other 92 times in the Football League and in national cup competitions, with the better record belonging to The Pilgrims due to their 36 wins compared with Rovers' 30. The most recent encounter with Plymouth Argyle occurred on 1 January 2013, which Rovers won 2–1. Rovers were 2–0 up at half-time, the defeat for Plymouth against Rovers resulted in Plymouth sacking their manager Carl Fletcher and saw John Ward register his first win of his second spell as Rovers manager. 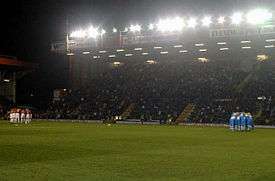 The first time Rovers encountered Yeovil was a Football League Trophy match which was played on 31 October 2001, which Rovers won via a penalty shoot out. The most recent encounter between the teams was in a Football League Two match on 15 August 2015, which Rovers won 1–0 with Ellis Harrison scoring a late winner. Because of the close proximity many players have also represented both the clubs, for example Adam Virgo, Gavin Williams, Dominic Blizzard and Tom Parkes. Bristol Rovers are known for their distinctive blue and white quartered shirts, which they have worn for most of their history. The current home kit consists of a light blue and white quartered shirt and white shorts, while the away kit is black and gold with the same colours as the trim. During the 2008–09 season a special third strip, which is black with a gold sash, and is a reproduction of the original Black Arab shirt, was used for a single match to celebrate the 125th anniversary of the club. The team began playing in black shirts with a yellow sash from their foundation in 1883 as Black Arabs F.C. until 1885, by which time they were called Eastville Rovers. For the next fourteen years, until 1899, the team wore blue and white hooped shirts. These were replaced by black and white striped shirts until 1919. When Rovers were admitted to The Football League in 1920 they wore white shirts with blue shorts. 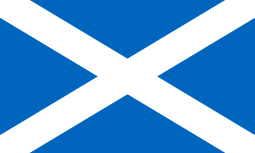 These remained the team colours until 1930, when the colours were reversed to blue shirts and white shorts for one season. The blue and white quarters were first worn in 1931, when they were introduced to try to make the players look larger and more intimidating. Rovers continued to wear the quarters for 31 years until they were replaced by blue pinstripes on a white background. Over the next ten years, Rovers went on to wear blue and white stripes, all blue, and blue shirts with white shorts before returning to the blue and white quarters in 1973, which have remained the colours ever since. During the 1996–97 season, Rovers wore an unpopular striped quartered design, prompting fans to refer to it as the Tesco bag shirts because of their similarity to the design used for the company's carrier bags. The change in design prompted the Trumpton Times fanzine to change its name to Wot, No Quarters? The black and gold shirts were also used as the away kit for the 2002–03 season, the club's 120th anniversary. In 2005, Rovers ran an April Fools' joke on their official website, stating that the team's new away strip would be all pink. Although this was intended to be a joke, a number of fans petitioned the club to get the kit made for real, and also suggested that funds raised through the sale of the pink shirts should be donated to a breast cancer charity. Although the pink shirts were never used in a competitive fixture, they were worn for a pre-season friendly against Plymouth Argyle in 2006. A pirate features on both the club badge and the badge of the supporters club, reflecting the club nickname of The Pirates. Previous club badges have featured a blue and white quartered design, based on the quartered design of the team's jerseys. Rovers first used an official kit supplier in 1977, and the club's first official kit sponsor followed in 1981. Rovers' longest running kit supplier is Errea who supplied the club kits for eleven years (2005–16). The club's longest running kit sponsorship was from local company Cowlin Construction who sponsored the club for a total of 11 years before ending the deal in 2009. The Cowlin deal came to an end during the late-2000s recession. Faced with the prospect of having no shirt sponsor for the 2009–10 season, the club came up with the idea of a raffle to raise the funds required. Tickets were sold at £1,000 with all 96 available being sold meaning the club raised £96,000 for one season of shirt sponsorship, more than some Premier League clubs. First prize in the draw went to local training and recruitment company N-Gaged whose logo appeared on that season's home kit. Second prize went to Bristol-based solicitors Stevens, Hewlett & Perkins whose logo appeared on the away kit. The raffle proved so successful that the club replicated it for the 2010–11 season with Smart Computers becoming the new home kit sponsors and Stalbridge Linen the away sponsors. Despite initially planning to return to the tradition form of sponsorship, the club again ran a sponsorship raffle for the 2011–12 season and continues to this day, however, with the plans to move to UWE Stadium, Rovers hope to attract a major sponsor once again in the future. Rovers play their home games at The Memorial Stadium in Horfield, a ground they formerly shared with Bristol Rugby Club. 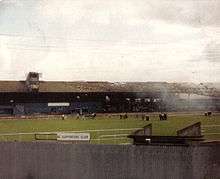 The team moved to The Mem, as it is known informally, at the beginning of the 1996–97 season, initially as tenants but purchased it two years later. When Bristol Rovers were known as Black Arabs F.C. in 1883, they played their home games at Purdown, Stapleton. The following year they moved to Three Acres, the precise location of which is not known, but is believed to have been in the Ashley Down area of Bristol, where they remained for seven years. This was followed by brief stays at the Schoolmasters Cricket Ground, Durdham Down and Ridgeway. For the majority of their history, Bristol Rovers have played their home games at the Eastville Stadium, where they remained for a period of 89 years from 1897–1986. Financial problems led to the team being forced to leave Eastville, and they found a temporary home at Twerton Park, the home of Bath City. They stayed in Bath for 10 seasons, before returning to Bristol in 1996. In January 2007 planning permission was granted for a new 18,500 capacity all-seater stadium to be built on the site of the Memorial Stadium. Building work was originally intended to begin late in 2007, but a number of delays set the project back first until the summer of 2008, and then until the summer of 2009. Further delays meant that by 2011, the club had begun exploring different options with regards to the future of the club's stadium. In June 2011, the club announced its intention to relocate the club to a new 21,700 all seater stadium, to be built on land at the University of the West of England's Frenchay campus. To fund the project, the current site of the Memorial Stadium will be sold to supermarket Sainsbury's. In September 2012, planning permission for the proposed UWE Stadium was granted by South Gloucestershire Council. In January 2013, subsequent planning permission was granted by Bristol City Council for the building of a Sainsbury's supermarket on the site of the Memorial Stadium. Disputes by a local protest group delayed the project and was followed by Sainsbury's attempting to withdraw support for the project. Rovers therefore submitted a writ against Sainsbury's, the hearing for which will be heard in May 2015. In February 2016 it was announced that a 92% stake in the club had been bought by the Jordanian al-Qadi family and that Wael al-Qadi, a member of the Jordan Football Association, would become the president. The club is now owned by Dwane Sports Ltd with 92.6% of the shares with Bristol Rovers Supporters Club owning the remaining 7.4%. The team traditionally draws the majority of its support from north and east Bristol and South Gloucestershire. Many towns and villages in the surrounding area are also home to significant pockets of Rovers supporters. The nickname given to Bristol Rovers supporters is "Gasheads". "The Gas" was originally coined as a derogatory term by the supporters of Bristol Rovers' rivals Bristol City, and was in reference to the large gas works adjacent to the old Bristol Rovers stadium, in Eastville, Bristol which wafted the sometimes overpowering odour of town gas across the crowd. "Gasheads" was adopted as a name by a splinter group of Rovers supporters in the mid-1980s to early 1990s. The chant "Proud to be a Gashead" spread to regular fans, and a fanzine was produced called The Gashead. The term "Gasheads" is now universally accepted within the English media and football fraternity as referring to Bristol Rovers supporters. After the club's relegation to Football League Two in 2001, the club designated the squad number 12 to the Gasheads to signify them as the club's 12th Man in recognition of their loyal support. The retired Conservative MP for Hayes and Harlington Terry Dicks is a Bristol Rovers fan. He mentioned the club in parliament on 5 May 1994 when debating with Labour MP and Chelsea fan Tony Banks. Another notable fan is Mercury Prize winning DJ Roni Size. The Rovers fans have good relations with Spanish club CE Sabadell FC, which initially began due to several Rovers fans noticing that the club had the same colours. Plans are being made for a pre-season friendly between the two clubs in July 2016. The song which is synonymous with Rovers is "Goodnight, Irene", which was written by Lead Belly. Opinions differ as to how this came about but it is thought to have become popular in the 1950s when a version of the song was in the British charts—the line "sometimes I have a great notion to jump in the river and drown"—seemed to be particularly apt when Rovers lost as the Bristol Frome flows alongside the old Eastville ground. Another theory is that it was sung at a fireworks display at the Stadium the night before a Home game against Plymouth Argyle in the 1950s. During the game the following day, Rovers were winning quite comfortably and the few Argyle supporters present began to leave early prompting a chorus of "Goodnight Argyle" from the Rovers supporters—the tune stuck and Irene became the club song. Another popular Bristol Rovers song is "Tote End Boys", which was written and sung by Ben Gunstone. The name "Tote End Boys" derives from the section of Gasheads who stood in the Tote End terrace at Rovers' old home, Eastville Stadium. The shirt number 12 is used by Gasheads to represent the fans as the 12th Man. For recent transfers, see 2016–17 Bristol Rovers F.C. season. For a list of Bristol Rovers players who have made at least 100 league appearances, see List of Bristol Rovers F.C. players. For a full list of all Bristol Rovers players to be capped at full international level, see List of Bristol Rovers F.C. internationals. This is a list of the most noted former players at Bristol Rovers Football Club, stating the period that each player spent at the club, their nationality and their reason for being listed. To be included in this list a player must have made over 400 league appearances for the club, scored over 100 league goals or hold a club record. Note: all details from Byrne & Jay (2003) unless otherwise stated. 1927–1947 England Jack Pitt Played 467 league games. 1928–1932 England Ronnie Dix The club's youngest ever player, at 15 years 173 days. 1936–1956 England Ray Warren Played 450 league games. 1945–1955 England Vic Lambden Scored 117 goals in 268 league appearances. 1945–1962 England George Petherbridge Played 457 league games. 1946–1958 England Harry Bamford Played 486 league games. 1949–1964 England Geoff Bradford Rovers' record goal scorer with 242 league goals from 462 appearances. The only player to be capped by England while at Bristol Rovers. 1953–1962 Kenya Peter Hooper Scored 101 goals in 297 league games. 1953–1968 England Alfie Biggs Played 424 league games and scored 178 goals. 1956–1973 England Bobby Jones Played 421 league games and scored 101 goals. 1959–1973 England Harold Jarman Played 452 league games and scored 127 goals. 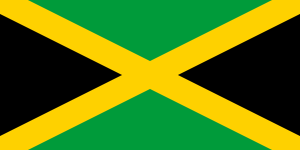 1997–1999 Jamaica Barry Hayles Club record sale when he moved to Fulham for £2,100,000. The current manager of Bristol Rovers is Darrell Clarke. He joined Rovers in June 2013 as Assistant Manager and then took control of the first team nine months later on 29 March 2014 (with 8 games of the season remaining) when the previous manager John Ward changed roles to become 'Director of Football' at the club. As of March 2014, 32 men have been appointed as a manager of Bristol Rovers Football Club, excluding caretaker managers. Bobby Gould, Gerry Francis and John Ward are the only men to have been given the job on a permanent basis twice, although Garry Thompson had a separate spell as caretaker manager before later being appointed permanently, and Phil Bater was caretaker manager on two separate occasions. The Bristol Rovers Academy currently operates at The City Academy Bristol and Sir Bernard Lovell School with matches being played at The Hallen Centre and Golden Hill. Current first-team squad members Ryan Broom, Ollie Clarke, Ellis Harrison, Tyler Lyttle, Tom Lockyer, Jay Malpas and Kieran Preston all graduated from the Academy to earn a professional contract. Chris Lines also graduated from the academy before moving on to Sheffield Wednesday. Lines has recently returned to Rovers. Perhaps the most successful former member of the academy is Scott Sinclair, who was signed by Chelsea in 2005 for an initial fee of £200,000, with further payments to the club possible, depending on performance. He currently plays for Premier League club Aston Villa. Other recent Academy players to have appeared in the Premier League or Football League include Tyrone Mings, Eliot Richards, Sean Rigg and Alefe Santos. Main article: Bristol Academy W.F.C. The club had a successful women's team, formed in 1998 as Bristol Rovers W.F.C. following a merger with Cable-Tel L.F.C.. This merger came about as Bristol Rovers only had girls teams up to the under 16 age group level, so when girls reached the age of 16 they were forced to leave the club. The merger with Cable-Tel meant that Bristol Rovers had a senior squad. The club's name was changed to Bristol Academy W.F.C. in 2005 to reflect the increased investment from the Bristol Academy of Sport. Though sometimes still referred to by their former nickname, the Gas Girls, Bristol Academy W.F.C. are no longer affiliated to Bristol Rovers. Bristol Rovers record goalscorer, Geoff Bradford. Picture taken in 1988, when he was 61 years old. ↑ "Bristol Rovers". Official website. 1 2 "BRISTOL ROVERS TAKEOVER: Jordanian billionaires plan journey of "evolution rather than revolution"". Bristol Post. 19 February 2016. Retrieved 3 March 2016. 1 2 "Club rivalries uncovered" (PDF). Football Fans Census. Archived from the original (PDF) on 20 October 2013. Retrieved 2008-10-23. ↑ "Bristol Rovers Join Torquay United In Relegation". 3 May 2014. Retrieved 2014-05-03. 1 2 Byrne, Stephen; Jay, Mike (2003). Bristol Rovers Football Club – The Definitive History 1883–2003. Stroud: Tempus. ISBN 0-7524-2717-2. 1 2 "Into the league". bristolrovers.co.uk. 6 August 2007. Retrieved 2008-10-26. 1 2 3 "Bristol Rovers". Football Club History Database. Archived from the original on 20 April 2010. Retrieved 2012-03-19. ↑ "Wanderers send the Gas down". Chairboys on the Net. 2 May 2001. Archived from the original on 8 October 2006. Retrieved 2008-10-24. ↑ "Promotion to/Relegation from the Football League". The Pyramid.info. 9 January 2005. Retrieved 2008-10-28. ↑ "League Two: Bristol Rovers relegated after Wycombe and Northampton win". The Guardian. 3 May 2014. Retrieved 29 May 2014. ↑ Mitchell, Brendon (17 May 2015). "Bristol Rovers 1–1 Grimsby". BBC Sport. Retrieved 17 May 2015. ↑ Greg Struthers (24 February 2008). "Caught in time: Bristol Rovers win the Watney Cup, 1972". The Times. London. Retrieved 2008-10-27. ↑ "Anglo-Italian Cup 1992–93". Football Club History Database. Retrieved 2008-10-26. 1 2 3 "Up for the Cup". bristolrovers.co.uk. 1 August 2007. Retrieved 2008-10-25. ↑ "FA Cup quarter-final draw". BBC Sport. 27 February 2008. Retrieved 2008-10-29. ↑ "Bristol Rovers 2–3 Doncaster AET". BBC Sport. 1 April 2007. Retrieved 2008-10-25. ↑ "Football Rivalries Report 2008". The Football Pools. Archived from the original on 5 March 2008. Retrieved 27 February 2013. ↑ O'Brien, Chris (9 December 2004). "Bluebird to the Bone – Football Rivalries: The Complete Results". sportnetwork. Retrieved 27 February 2013. ↑ "Cardiff City 3–1 Bristol Rovers". BBC Sport. 26 August 2009. Retrieved 27 February 2013. ↑ "Bristol Rovers vs Plymouth Argyle results". ESPN. Retrieved 27 February 2013. ↑ "Bristol Rovers 2–1 Plymouth". BBC Sport. 2 January 2013. Retrieved 27 February 2013. ↑ "Yeovil Town vs Bristol Rovers results in Johnstone's Paint Trophy". ESPN. Retrieved 27 February 2013. ↑ "The look of Rovers in 2008/09". bristolrovers.co.uk. Bristol Rovers Football Club. 2 June 2008. Retrieved 2008-11-06. ↑ "Rovers full of eastern promise". The Football League. 23 October 2008. Archived from the original on 10 February 2009. Retrieved 2012-03-19. 1 2 3 4 5 6 "Bristol Rovers Frequently Asked Questions". Archived from the original on 22 August 2007. ↑ "Bristol Rovers – Historical Kits". Historical Football Kits. Retrieved 2007-05-09. ↑ "About us". Black Arab fanzine. Archived from the original on 28 September 2007. Retrieved 2007-02-13. ↑ "Bristol Rovers fans are pretty in pink". BBC Bristol. 19 April 2005. Retrieved 2007-05-14. ↑ "Walker strike sinks Pilgrims". bristolrovers.co.uk. Bristol Rovers Football Club. 29 July 2006. Retrieved 2007-05-14. ↑ "Bristol Rovers Supporters Club logo". bristolroverssc.co.uk. Bristol Rovers Supporters Club. Archived from the original on 16 June 2007. Retrieved 2007-04-30. ↑ "BRISTOL ROVERS JOIN FORCES WITH MACRON". Bristol Rovers F.C. 28 June 2016. ↑ "Back to Bristol". bristolrovers.co.uk. Bristol Rovers Football Club. 2 August 2007. Retrieved 2008-11-06. ↑ "Memorial Stadium given go-ahead". BBC News. 18 January 2007. Retrieved 2008-11-06. ↑ "Football and rugby stay in city". BBC News. 17 August 2007. Retrieved 2008-11-06. ↑ "Memorial Stadium plans hit hurdle". BBC News. 30 May 2008. Retrieved 2008-06-01. ↑ "Stadium regeneration delayed". bristolrovers.co.uk. Bristol Rovers Football Club. 3 June 2008. Retrieved 2008-11-23. ↑ "ROVERS ANNOUNCE NEW STADIUM PLANS". bristolrovers.co.uk. 9 June 2011. Retrieved 2011-06-09. ↑ "Bristol Rovers new stadium could be delayed by legal move". Bristol Post. bristolpost.co.uk. 11 September 2013. Retrieved 15 November 2013. ↑ "Bristol Rovers insist stadium will still go ahead despite launching lawsuit against Sainsbury's". Bristol Post. bristolpost.co.uk. 26 August 2014. Retrieved 21 September 2014. ↑ "Bristol Rovers: Al-Qadi family complete takeover of League Two club". BBC. Retrieved 20 February 2016. 1 2 "Bristol Rovers FC Club Contacts". Bristol Rovers Football Club. Retrieved 3 March 2016. ↑ Geoff Twentyman (presenter) & Steve Hamer (guest) (19 February 2016). Friday Night Sport (Radio broadcast). Bristol: BBC Radio Bristol. Retrieved 22 February 2016. ↑ "Bristol City vs. Bristol Rovers". Football Derbies.com. Archived from the original on 17 December 2010. Retrieved 2007-05-09. 1 2 3 "First Team – Gasheads". Bristol Rovers F.C. Retrieved 2008-10-25. ↑ Brown, Oliver (7 January 2008). "Craig Hinton puts Bristol Rovers on a high". The Daily Telegraph. London. Retrieved 2008-04-24. ↑ "HC Deb, 5 May 1994 vol 242 cc851–925". Hansard. UK Government. Retrieved 7 November 2013. ↑ Yong, Michael (23 April 2015). "Barcelona fans from FC Sabadell [sic] to cheer on Bristol Rovers in home game against Alfreton Town". Bristol Post. Retrieved 10 April 2016. ↑ "ROVERS PRE-SEASON TOUR TO SABADELL". Bristol Rovers F.C. 5 January 2016. Retrieved 10 April 2016. ↑ "Goodnight, Irene". Harry Lewman Music. Retrieved 2007-04-30. ↑ "The PFA pays tribute to Bristol Rovers legend Jack Pitt who sadly passed away last week, aged 84". givemefootball.com. Professional Footballers' Association. 1 January 2007. Archived from the original on 13 June 2011. Retrieved 2012-03-19. ↑ Kempson, Russell (2 October 2008). "Barnsley's bright young thing Reuben Noble-Lazarus back at school". The Times. London. Retrieved 2008-11-03. ↑ "Bristol Rovers' cult heroes". BBC Sport. 18 March 2005. Retrieved 2008-11-03. 1 2 "Bristol Rovers all time records". Soccerbase. Retrieved 2008-11-06. ↑ "Darrell Clarke joins as John Ward's number two". Retrieved 2014-03-30. ↑ "John Ward tips new manager Darrell Clarke to make a success of Bristol Rovers opportunity". Retrieved 2014-03-29. ↑ "Bristol Rovers manager history". Soccerbase. Retrieved 2008-11-03. ↑ "Chelsea compensation figures confirmed". The Football League. 9 November 2005. Retrieved 2009-08-20. ↑ "Dates & Honours". Bristol Rovers F.C. Retrieved 2009-08-20. 1 2 3 "Dates & honours". bristolrovers.co.uk. 6 August 2007. Retrieved 2007-02-09. ↑ "Bristol Rovers Football Club Information". Sporting Chronicle. Archived from the original on 16 December 2006. Retrieved 2007-02-09. 1 2 3 4 Rollin, Glenda; Rollin, Jack, eds. (2006). Sky Sports Football Yearbook 2006–2007. London: Headline. p. 115. ISBN 0-7553-1526-X. Byrne, Stephen; Jay, Mike (2003). Bristol Rovers Football Club – The Definitive History 1883–2003. Stroud: Tempus. ISBN 0-7524-2717-2. Wikimedia Commons has media related to Bristol Rovers FC.